It is still very uncertain about the older files as to where those properties are going to be located. Bahria can relocate those files to some other place as we do not see any news or developments regarding them. Even old commercial plots, which have recently reached about triple of the paid amount do not seems to get developed soon as the later launched MIDWAY COMMERCIAL is the most demanded property which has crossed 1 crore rupees profit within a couple of weeks. The purpose of our reasoning is simply to establish the fact that old launches are going to take much time to get developed & their locations are still not decided on the map. However, new launches are coming with plot numbers and maps, furthermore the location of newly launched projects i.e. Ali Block, Bahria Heights, Quaid Block Villas is also known in the master plan of Bahria Town Karachi. We will provide some details about these new projects in this blog. Ali block is a residential block in bahria town karachi which consists of 5 marla plots. The Map of Ali Block has also come out so you can get plot numbers and see the location on the map. These plots are available on 3 year installment plan with quarterly payments. Possession of Ali block is claimed to be handed over in 6 months. Development work is going on at full swing for earliest completion of this block. Currently these plots are much in demand and selling at profit in the market. 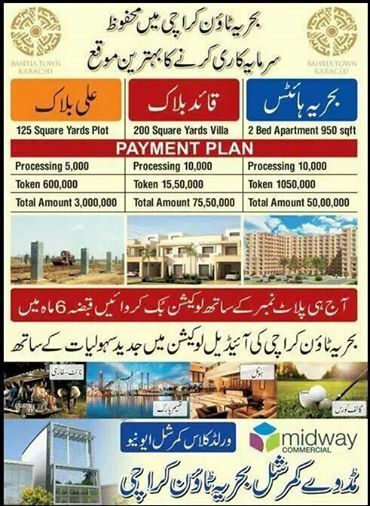 Profit rate has reached above 3 lac rupees for these plots and there is still some potential for rise in the profit. Quaid block launched a couple of weeks ago. This project consists of Villas (homes) which are currently under construction. Possession of these villas is expected within 2 years time. This project was launched with 2 year installment plan with 8 quarterly installments. These homes are one of the best investment option to consider in bahria town karachi. These homes are also very short in the market and selling at more than 35 lac rupees profit. Since profit rate is high in this project, you can wait for prices to come a bit down before you go for this purchase. 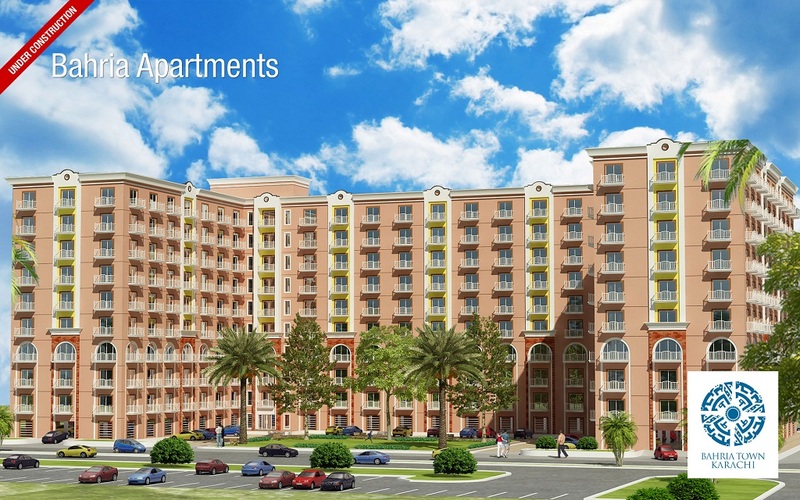 Bahria Heights is a 2 bed apartments project which is under construction at present. The project is recently launched while these apartments are under construction and pacing towards speedy completion within a year. This project consists of 2 bed apartments as well as commercial shops. These apartments were launched at about double of the price of previously launched 2 bed apartments. Bahria Town has also announced a prayer ceremony at the project site of Bahria Heights on 28th of November, 2014. These apartments are also very much in demand in the market and selling like a hot cake. Profit rate is quite high for these apartments and there is still more profit potential in this investment. 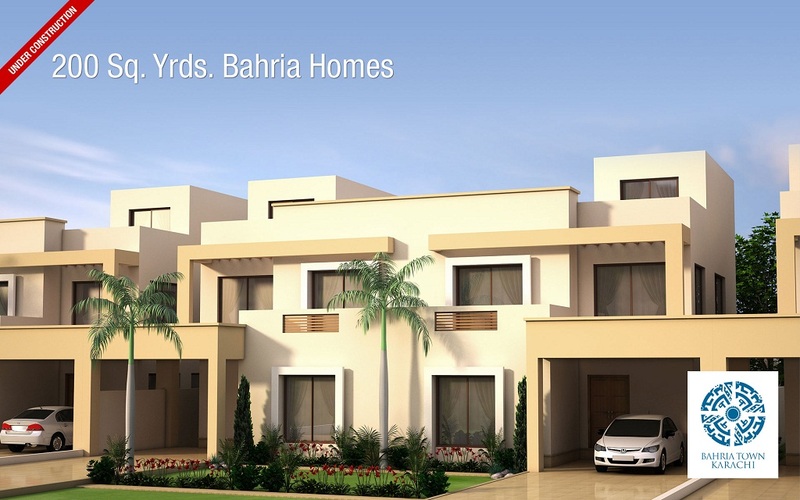 Apart from these projects, Bahria Town Karachi is expected to launch new bookings of 5 marla villas & 1 kanal plots very soon and you shouldn’t miss the upcoming opportunities in order to earn good profit.